Green Light!! With a thoroughly green track it was Hulkenberg first out of the gate, followed by Leclerc, Ericsson and Grosjean to inaugurate the 2018 season. Ferrari joined the party as the clock ticked over the 16 minute mark and the track filled up. Mercedes joined around the 14:30 mark and as the lads from Brackley got their machines up to temp the first times began posting. Sainz was the early leader until the Ferrari's rocked in, Raikkonen leading Vettel with a 1:23.616. 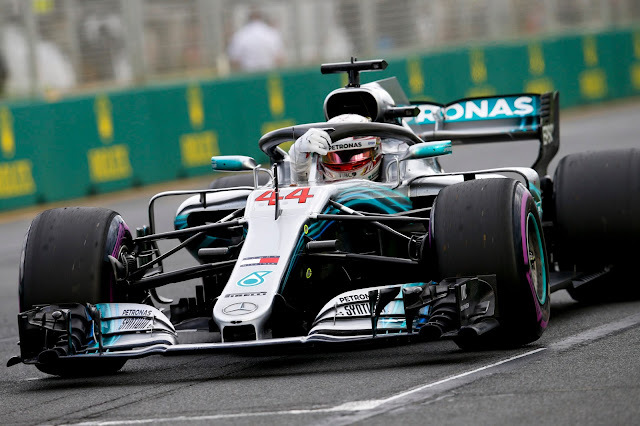 Hamilton slotted P2 with his traffic laden effort but Bottas surpassed him and as the field awaited the times from Red Bull, it was Raikkonen, Bottas, Hamilton, Vettel and Sainz at the top. Ocon meanwhile had dropped to P15 and was on it with 2:30 left and as he hit the line, he improved to P10. His teammate Perez, however, rapidly took his toy away, despite a big lockup. Grosjean rocked it up to P6 and as the last of the time ticked off, it was Sainz to P6 followed by Alonso. Hartley managed to improve to P16, but Gasley had a mistake and it was the ignominy of P20 for him, potentially sparing Ocon from a bit of embarassment as he had dropped to P15 by time Gasly had his faux pas. Done like a dinner then, were Hartley, Ericsson, Leclerc, Sirotkin and Gasly. The rest got down to brass tacks as Q2 loomed large in the team's wing mirrors. Hamilton was first out in Q3, wasting little time, followed by Bottas. Ferrari were first to give chase, 30 seconds back and lazily trailed by Ricciardo. Verstappen finished the 2x2 as Hamilton rocked up to his first hot lap. Bottas, trailing behind was a bit wide in T2 and touched the grass. When he regained the track the rear broke loose and it was across the track into the wall, bringing out the red flags at 9:47 and a head-desk from Toto Wolff. The lateral impact made qute a mess of the right side of his car, and the possibility of a penalty palooza for having to replace parts loomed as a very real possibility. Ricciardo was first out when the pits reopened, then Hamilton and Verstappen. Again, Raikkonen and Vettel trailed out about 20 seconds later as the rest of the top 10 held their fire. Hamilton wove his way around the Red Bulls and once again, was the first to rock off on his hot lap. Neither Red Bull could touch his S1 time, but Vettel could and did. 1:22.051 for Hamilton but Sebastian laid down a purple S2 and was on a proper challenge. He gave it all up in S3, going 0.034 seconds slower. Verstappen, too, was not far off, 0.061 seconds off Lewis' time. Grosjean to P7, followed by Hulkenberg and Sainz, with Magnussen being best of the rest and as the midfield sorted themselves, Hamilton was on a thoroughly unhinged lap, 0.4 seconds up just in S1. Neither Ferrari could touch that and Lewis continued to wring the neck of the track getting round S2 in just about 22 seconds flat. 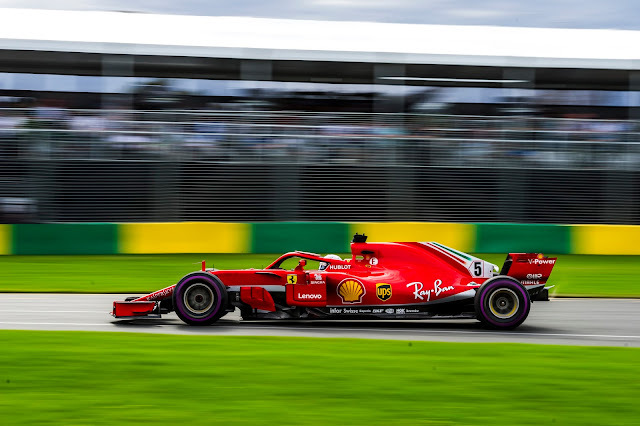 By time he cracked the line he was nearly 0.8s up on his first effort with a 1:21.164, the better part of a full second up on his pole lap from the previous year. Raikkonen was the closest to him, 0.6 seconds slower, then Vettel and Verstappen rounding out the top 5. Hamilton dropped that it wasn't the modes, it was the tyres. 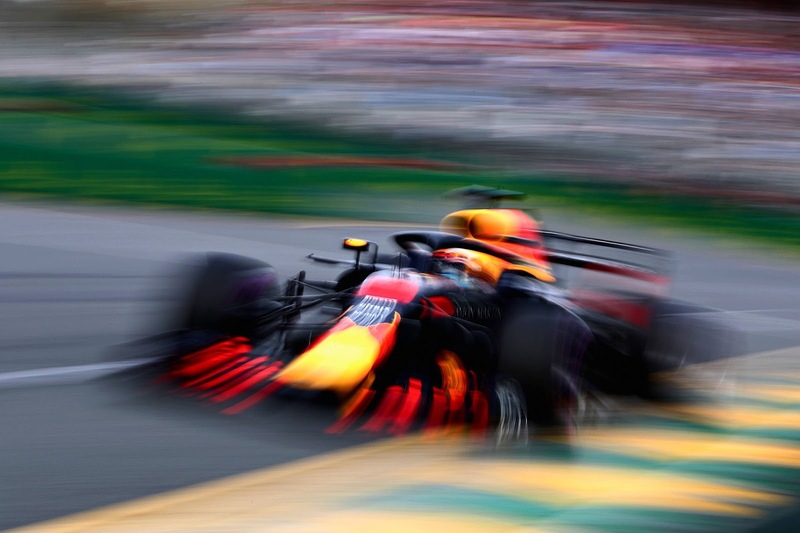 Tomorrow's race promises some entertaining battles, not least of which will be the out of place Ricciardo and Bottas trying to slice through the field like hot butter. The battle between HAAS and Renault looks to be epic, and as Alonso said, a bit of rain wouldn't be amiss, at least if you're Macca and hoping to nail some points. With Verstappen on Supers for the start of the race, the sharp end won't be lacking for strategic variety and if Mercedes lunch the Ultras early on, then it could be quite the epic battle.